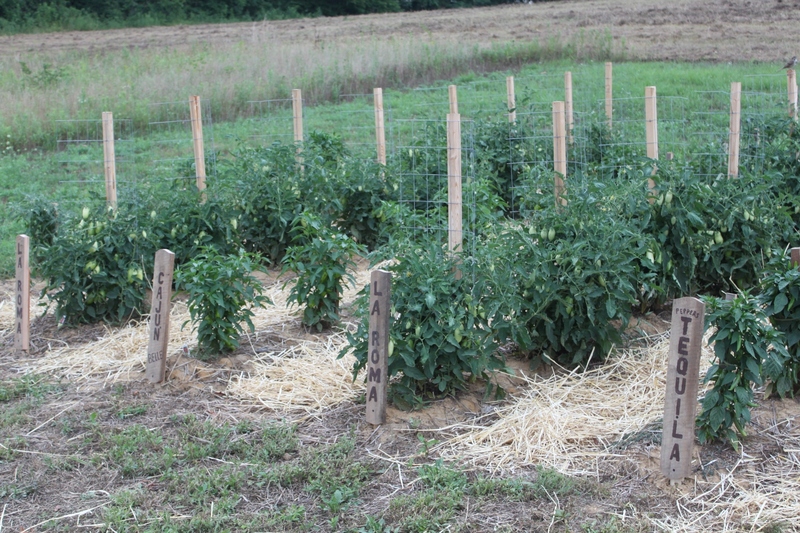 We have used pallet wood and the left over barn wood from the two barns we tore down to do just about everything. This past week – Mary came up with one more great idea. 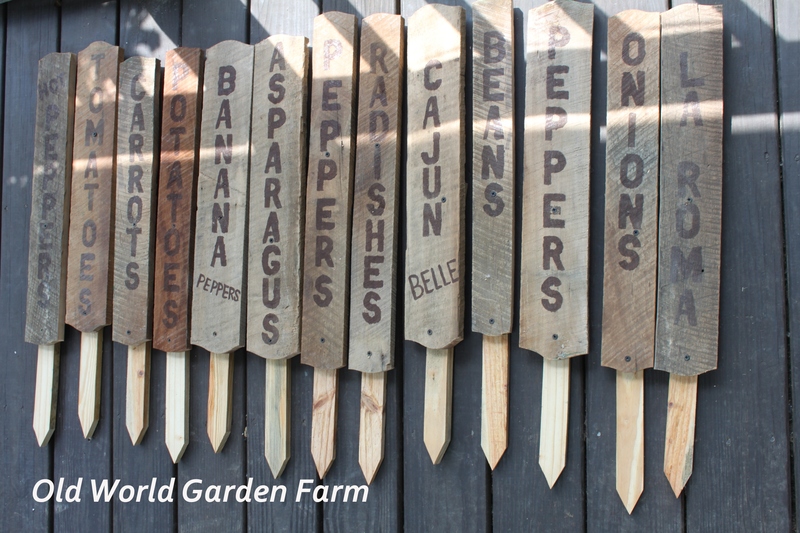 We wanted a way to mark the various rows of our gardens – mainly for appearance and to help identify plants and rows for visitors to the farm. It was actually a simple project. en then drove 3/4″ x 18″ stakes into the ground. After that – we attached the painted boards to the stakes with some inexpensive course black drywall screws (We figure if they rust a little it will just add character) and we were finished! 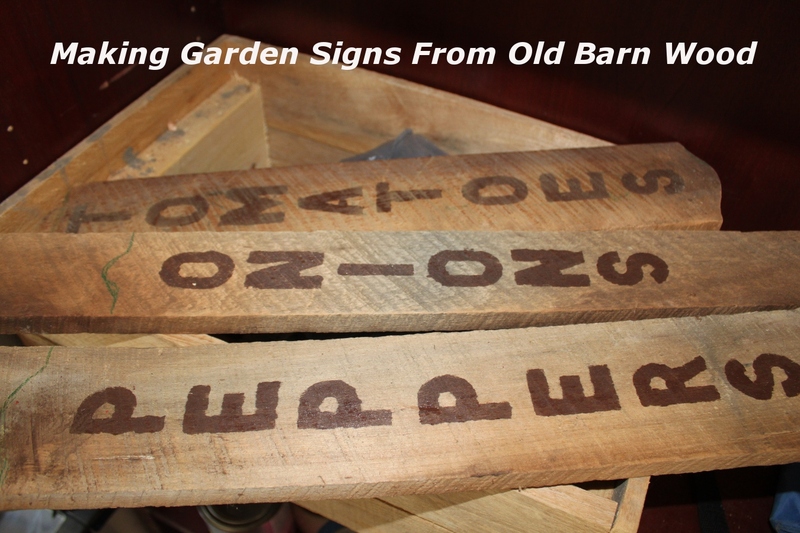 The result – a creative way to identify our garden with unique signs – created for free from our stash of old barn wood! We thought about adding a clear coat to the signs, but figured it was best to let them naturally fade and bleach with the sun. 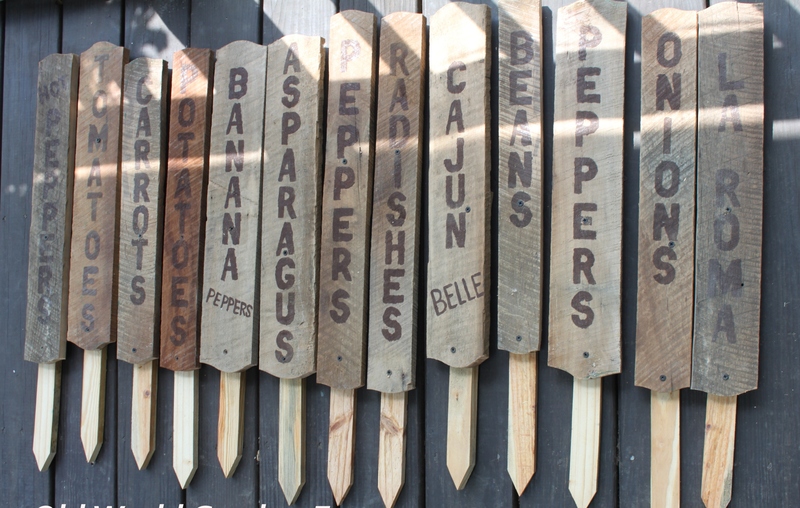 All in all, a great way to use up some more of the wood and not have to spend a dime on signage for the garden. 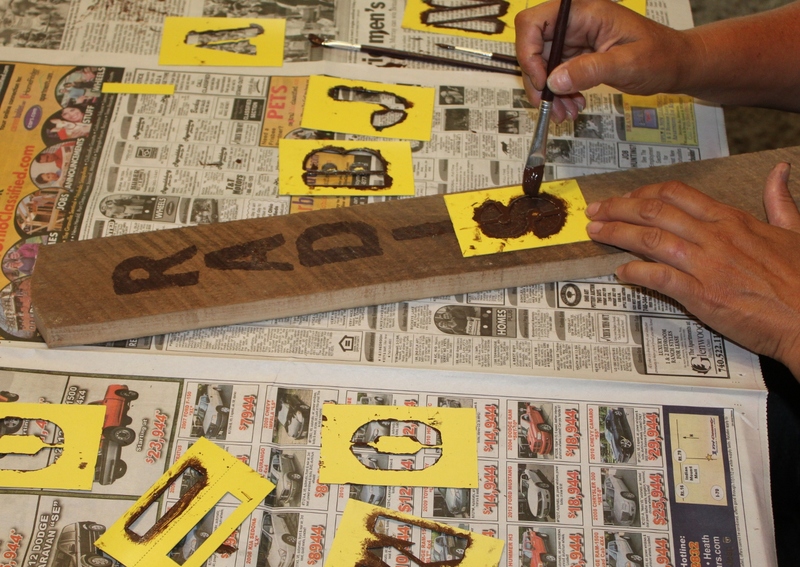 It took us about 2 hours to make and paint the 25 or so signs – and 15 minutes to put them up.